It’s that time of the year again when the summer simmers and you have to figure where to head for a vacation. You will find ample of destinations to choose from and in fact you may have stumbled upon my post as you were searching for some amazing travel destinations, right? Now that you’re here you may be wondering what to expect. Well then, the introduction may not be presentable in any way for now for that you have to read the entire post, that’s how you will get an idea what am I trying to say. Let me be frank here, this isn’t a ranting or sort. Gustave Flaubert has rightly said “Travel makes one modest. You see what a tiny place you occupy in the world.” This line is especially true when your smart phone makes the world smaller, but when you actually begin to travel you’ll realize how big the world is. Sometimes it takes hours to reach your destination and sometimes it may even take days. Traveling is like an adventure and time is also a part of it. Depending on how you usually go on a vacation, you’ll notice the world passing behind you. Your destination inches closer and closer and the time to reach lessen. You see new surroundings, make new friends and even try the local cuisine. I had this wish that when I travel to the south of India I will the sought after south Indian delicacy – Chicken Chettinad. It is spicy chicken gravy eaten along with rice, Indian bread or the usual white/brown bread. Personally, I prefer to have it with Cummin (jeera) Rice. 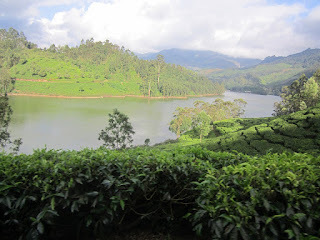 When I did reach Kerala– God’s own country, that was the first thing I tried and I loved it. Since I am a foodie, food is what keeps me going when I travel long distance – the taste that smears my palette, the strong flavors and all. So when I do travel, local food is one thing that excites me. That alone is not my purpose, visiting never- before seen locations is a totally different experience all together. Don’t believe me? I bet you must have seen various photos of the iconic Taj Mahal on TV, Internet and newspapers. Now try visiting the Taj Mahal in person. Trust me when I say this, the experience of actually seeing this iconic monument offers a totally different experience that will prompt you to appreciate Shah Jahan ’s masterpiece. Looking at the photos of the destinations and actually visiting them is totally different. It is much similar to actually looking at the cars on the road and actually driving one. These are two completely different things, I’m sure you’ll agree. Traveling is not only an adventure; it’s also the experience that comes with it. The learning that is associated with it comes with the journey and adds to the experience. For example, when I had visited Mahableshwar, I realized that most of the hotels and restaurants are vegetarian and non-vegetarian restaurants are very few. In other words, I would definitely recommend this hill station to vegetarians, right? Wrong. Let me ask you a question: be it vegetarian or non-vegetarian food, does it actually matter? It doesn’t for me. I know some people (like my wife) are hell-bent on choosing their destination on the basis of what food they provide. For a person like me why I like traveling is because of the experience it offers me and the impression it imprints on my mind about the place, the people, the food, the surrounding and many other things that comes with it. So next time when you decide on traveling, don’t go for the sake of going there. Go for the experience, for the adventure. Plan your adventure well and share it. You will appreciate the joy that you will receive. Just in case if you’re wondering if we did manage to find a hotel that serves non-vegetarian food, then yes, we did find one. When you think about the Northeast, probably, two things will come to your mind. One of them might be Cherapunji, the only place in the country to receive the highest rainfall also called as the wettest place on Earth and Kaziranga National Park. The Northeast offers much more than these two places from all the seven states present in this region. The weather offers beautiful natural locations like national parks, lakes and many tourist locations. The North East, although situated at one corner of the country, it offers some great leisure vacations. Northeast does not fail when it comes to impressing tourists with the natural beauty of the surrounding, the cuisines, the culture, diversity and many other things that make this place truly unique. 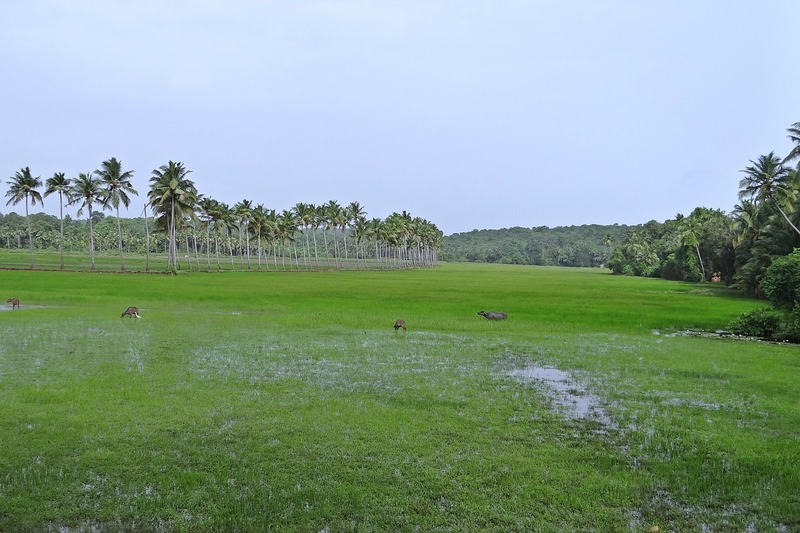 The first thing that will catch your eyes is the sprawling greenery. If nature is more towards your liking, take a visit to a good number of national parks. The famous Kaziranga National Park is present it the state of Assam. It is designated as a World Heritage site and hosts two-thirds of the one-horned Rhinoceros. Travellers will find plenty of lakes in the Northeast and some of them also provide a fascinating and exotic view. For example, Gurudongmar Lake in the state of Sikkim is the highest lake in the world. Tour of the tribal areas and getting acquainted with their lifestyle offers an experience where no other part of the country will provide. When visiting the tribes, you will often pass through breathtaking scenery. Nagaland is the tribal heartland of this region. Inhabited by the Nagas, there are 16 major tribes in Nagaland each one of them with their distinct culture, traditions and even language. Arunachal Pradesh – bordering China has abundance of wildlife. It is also home to some rare species that are native to this state like the clouded leopard, Golden Cat etc. The Tawang Monastery is the largest in the world and has some old Buddhist scriptures. The view from this Monastary offers a breathtaking view of the natural surroundings. Have you thought of any adventure sports? 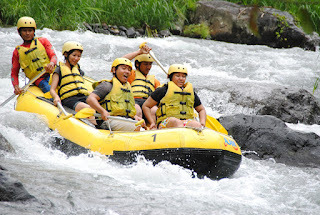 If you change your mind and you so desire for one, Arunachal Pradesh provides you with Rafting on the Siang River. North-eastern festivals are colourful and any festivities in the region are celebrated with much fanfare. Here you can do two things either watch and enjoy or participate and enjoy more. 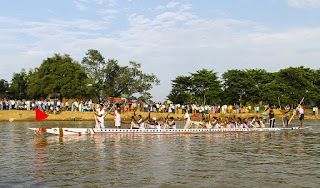 You must have witnessed boat races in Kerala and may be even in the Asian countries. You will be mighty surprised to know that Sualkuchi in Assam also conducts boat races. Massive crowd gathers during the races cheering their teams to win. When you arrive in Manipur, be sure to visit Loktak Lake which also happens to be the world’s only floating late. You can take a boat ride here to view the pristine surroundings. Dzkou Valley is another location filled with natural surroundings. The best places to visit are in the summer. In the summer the valley blooms with various species of flowers. The Northeast part of the country is an unexplored part. The major reasons are only because it located to one corner of the country. Your visit to this region unlocks much uniqueness it has to offer. Apart from the natural beauty, the colourful festivals you take back with you a lot of learning about another travel destination in Incredible India. 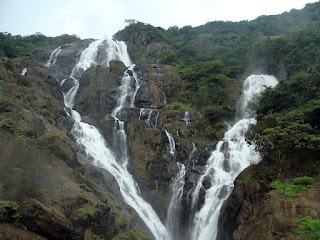 Hill stations gives the perfect scenic wonders when one wants to travel among pristine and picturesque surroundings. The huge hills in the distance; the path you walk along is laden with varieties of plants. Backpacking for hill stations is no ordinary task as trekking takes a long time. Be ready to travel for hours uphill to your destination of travelling by your own and especially to far-flung places. If there is one thing that you will find in hill stations when you trek is the stark silence accompanying you wherever you go. It is a welcoming feeling to the natures abode embracing the cold surroundings. Leaving the hustle-bustle of the city behind you, trekking in far-flung places away from the city offers its own rewards. The first thing that comes to the mind is the breath of fresh and unpolluted air. The second thing to strike you is the greenery, perhaps, endless greenery in all directions as far as the eye can see. Hill stations will offer you two options: you can either go camping all by yourself or take the help of TravelHot for reaching your destination. Camping all by yourself is no easy task as you are on your own and must familiarize the surroundings for the best camping sites. This act of hunting for your own ‘I, me and myself’ site is surely time-consuming and does not always go according to plan. 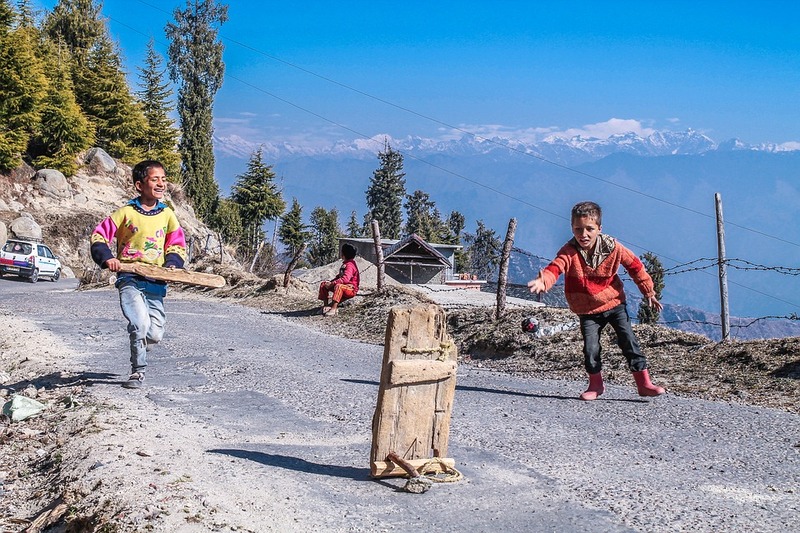 When it boils down to choosing your destination to the hill-station, you can visit our site to explore your options. You will find that there are plenty for choosing: Mahableshwar, Matheran falls in short distances from Mumbai when compared to the far-flung ones like: Mussoorie, Kodaikanal, etc. 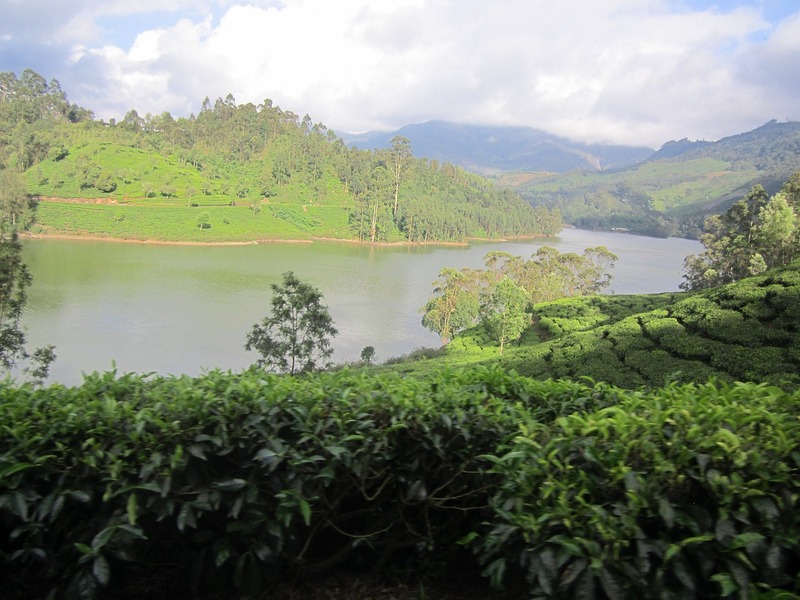 Besides the offering of pristine surroundings, the clean air offers immense health benefits as well. Taking a worthwhile break with your friends and families and the quality time that you spend in hill-stations will be forever etched in your memories. Shimla provides for a stunning view and is a delight to anyone’s eyes. And one of the best parts about this hill station is the experience of snowfall. A first time traveller may find one trip as insufficient to fully explore the North-East. This is because the entire expanse spreads across this region of the country surprisingly offers a lot to see. The culture of the people of this region is fascinating. Hornbill festival is something that one should particularly look out for. Held during the first week of December, it showcases the great cultural tradition of different tribes’ combined with its rich natural beauty. Kullu is place of immense beauty and it is most frequented by tourists. It is also a Snow Sports paradise and adventure sports seeker will find many ways to keep themselves busy. Hill stations are the best getaway destination for the thrill-seeker and the journey is truly satisfying and one of a kind experience. Sometimes it is more than the natural beauty and more of the experience that it has to offer – which is unique. If immersing yourself in nature’s glory is your thing then a visit to the Hill Station is a must. Dubai - a dessert converted into a sprawling metropolis filled with massive skyscrapers, hotels and nightlife. 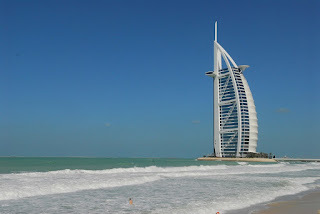 If planning for trip to Dubai – now will be the right time. The City is astonishingly beautiful housing one of the world’s tallest building. The growth of Dubai into a world renowned city is not only surprising but the pace of its growth surpassed all expectations. A Global city and business hub of the Middle East, Dubai has a lot to offer with many tourist attractions. TravelHot.in has some great discount on flight tickets to this awesome city. Whether you have or have not been to Dubai for vacation, one thing to certainly strike your mind is BurjAl-Arab - it’s the most expensive hotel in the world boasting luxuries only the super-rich could afford! The most astonishing part of this hotel is that it’s built on an artificial island extending some distance from the main shoreline. The building is impressively designed making it one of the iconic structures of the global city. The titles that are given to iconic buildings does not stay that long. Much similar to record-breaking in sports when once record is broken there is always some else ready to break it and achieve a record. So is the case with iconic structures. 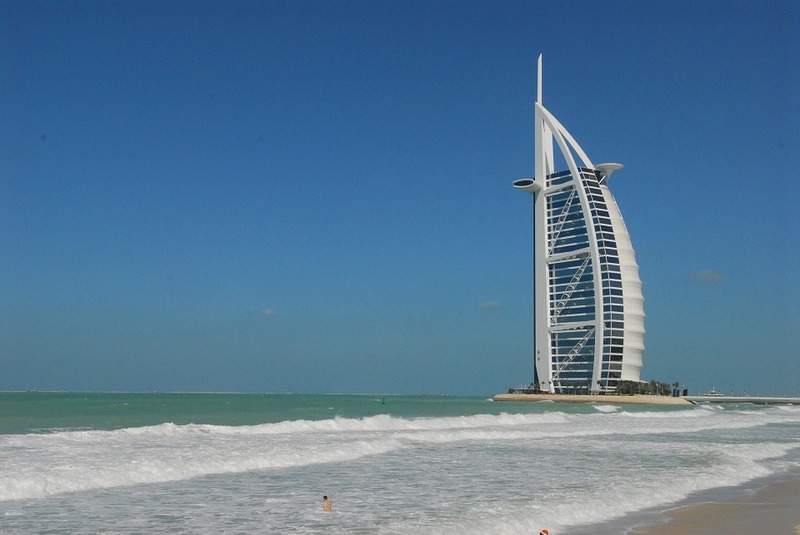 Previously many travellers would easily associate Burj Al-Arab Hotel with Dubai, the building would have seldom known that it is soon to find company. Burj Khalifa – completed in 2009, is the tallest building in the world. Seeing this building personally from the ground up is certain to sprain your neck – see it with caution! Palm Jumeirah or the Palm Island is another major attraction in Dubai. It’s a man-made island designed in the shape of palm tree and also one of the largest artificial islands in the world. The Palm boasts a vast array of high-end hotels. The completion of Palm Jumeirah is evident of human ingenuity. 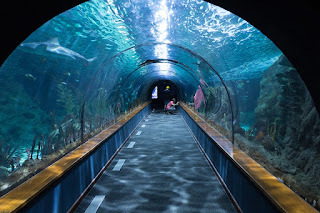 Dubai Aquarium and Underwater Zoo is one of the major tourist attractions. The Aquarium houses several species of marine life. It is located in the Dubai Mall the aquarium is a 10 million litre tank and is the largest in the world. The Dubai Shopping Festival- attracts travellers from around the world. The numerous shopping centres present in the city cater to all the shoppers from around the world. It is a month long festival held in January – this shopping festival is truly a shopaholic’s paradise! If you would like to know what was Dubai like in the old times, the City presents an opportunity for the utter curious to take look into the City’s past. Dubai is all about the modernity depicted in its high-rise constructions. Its heart- warming to note that Dubai has maintained its past. The place that is talked about is Al Bastakia. 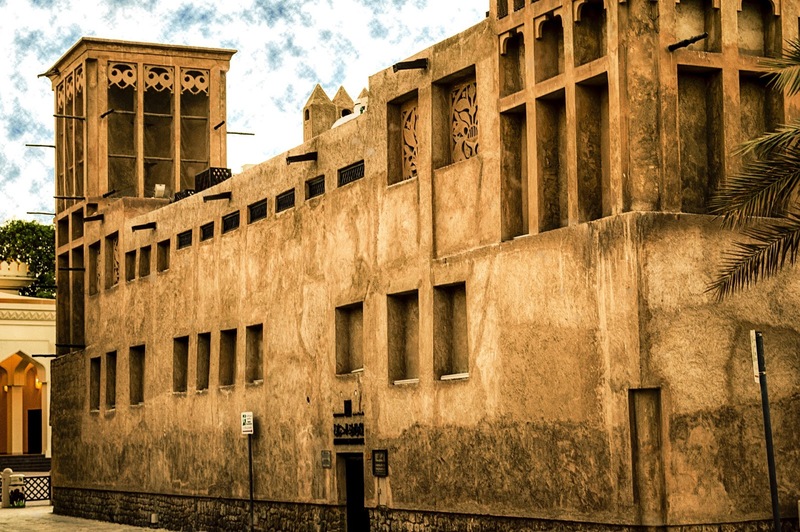 This part of Old Dubai represents the architectural style of Arabs. Be sure to visit this place as it gives you a different feeling. The attractions in Dubai are littered with places that are a treat not just to your eyes but to your senses as well. The magic of Dubai is the experience the come with it, the people, the places and most importantly the memories. There is a saying which goes, ‘Everyone can work hard but only a few people can work smart.’ It is also true when it comes to travelling. People may travel all over the world or travel local. The experience it provides differs from people and the places they visit. Apart from using a common sense approach, which may not always be enough, you may want to keep yourself on your toes even though you think otherwise. I’m not trying to scare you here. What I am going to present here are just facts which most of you will agree. So who is a smart traveller? A traveller should not simply travel through any destination. He or she should research well about the destination they are planning to visit. The current information age provides us with tons of resources online mostly in the form of travel recommendations, dos and don’ts, places to visit, reviews, etc. The internet provides us some great websites which will give information about guides and even cheap hotels. Nowadays, travel sites like TravelHot has one stop site where you can get information about the places you would want to visit, a brief history of the destinations, places to look out for, etc. If you do not know which places to visit, surfing TravelHot’s destination guide will help you decide. If you are planning for a vacation abroad, it makes sense to understand the local culture; a joke may be taken as an insult to the local people. Ensure your research involves understanding the local culture, what are things you are allowed to do in public, etc, for example: public display of affection in a country like India is not appreciated or pointing your fingers towards someone for a direction is considered inappropriate in some cultures or touching someone may be considered offensive. Muslim countries forbid alcohol. Respecting the local culture will not only help you understand the people you are visiting but also ensure that your vacation does not have any unpleasant experiences. Make a photocopy of all of your important travel documents and store them separately. Due to any unforeseen circumstances you may lose your baggage or there might even be a substantial delay in receiving your baggage. Keeping another copy of your documents would not be convenient but also save your time as well. More and more people round the world are travelling. According to one report by statista.com, in 2012, international tourist’s arrival exceeded one billion. When you compare this data 10 years earlier, the number has increased by 50%. As more and more travellers take to the skies for their vacations, it becomes imperative for the ubiquitous travel to apply for travel insurance. Travel insurance has evolved tremendously and caters to the traveller’s various needs: be it he or she is travelling locally or internationally. It provides immense benefits in time of need especially during a medical emergency, delayed flights and loss of one’s baggage. If you are susceptible to common ailments like coughs, cold and fever easily, you should carry some of the medications with you. Illness often strikes when you least expect it. It would be better to be safe rather than sorry and chances are that your medicines that are conveniently available locally may be inconveniently unavailable at your destinations. Plan your trip in advance; give it at least a few days if you have to do lots of packing. Check and re-check your belongings and preferably – make a check list, carry it with you all the time, develop the habit to use this check-list every time you pack or unpack your baggage. If you are not a frequent traveller, this will help you a great deal and also ensure you do not leave any of your things behind absent-mindedly. Whenever you travel at any destination local or international, make these two lines your mantra: ‘Prevention is better than cure’ and ‘Better be safe rather than sorry’. Following these two lines will help you a great deal in ensuring your travels whether you are vacationing or on a business trip - goes smoothly and without any interruptions.